Yes, I’ve already failed in my goal of a blog post a month, but February cheated, being so short, so I’m counting this one for month two. Nor was that my only goal. I wanted to finish my novel outline sometime in January and be well into the first draft by now. But I didn’t, and I’m not. Somewhere along the way, near the end of the outline, I tread on some sticks, carefully concealed with several large leaves, and broke them to plummet into the pit beneath. Yes, I’ve hit a wall in my story. My characters have reached a valley whose precipitous walls force them to meet a challenge. This is nothing new. If your characters aren’t being forced to meet a challenge, you’re missing a slightly important ingredient to a good story: plot. But as I looked over the challenge I had forced them to meet, I discovered that the challenge, as well as its solution, was identical to one faced by the main character in the first half of the book. This was a slightly varied repetition of the same story arc on a larger scale. Holy crap, guys. I was only writing the first book and I had already reached the tepid sequel. So I had to back up, reevaluate the situation and throw something entirely different at my characters. Something that wouldn’t bulldoze the rest of the outline. This wasn’t easy. My approach to this novel from the beginning was to keep it simple – to tell a basic, well-rounded fantasy story with good pacing, endearing characters, and gripping action. Let Rothfuss and Sanderson and the other geniuses innovate for now. I just wanted to get something done. But now I had to complicate things. And I suddenly felt as if I’d driven into three metric swampfulls of cement. I stalled out. I lost momentum. I wandered the barren paths of my mind. I came up with absurd ideas. I contemplated skipping the chapters entirely. And the skybowl cracked above me to fall on my skull and the oceans surged up the rivers to drown the populace and the East Wind ripped me from the continent and sent me spiraling into the void. Writers’ block. This section of the book began to feel like its keystone, that unless I perfectly crafted every molecule, the whole story would implode like an old Section 8 housing tower. This, I believe, was only making my solution more elusive. Other urgencies devoured my time. I got distracted. I covered a national championship rally and gave a presentation to my boss’s boss’s boss. I pulled a great deal of overtime. But I think the distraction actually helped, because now I have an idea. Once I was able to step back for a while, to even forget about the problem, I realized that it might not be such a behemoth to slay. Perhaps it was instead a lock to pick, that if I went slowly enough and followed the instructions, I’d have it open in a trifle. I can’t recommend taking a hiatus, forced or otherwise, to cure writers’ block. I’m not even sure I will if this works. I’m just glad to have some wind in my sails again. As I mentioned, I wasn’t idle. 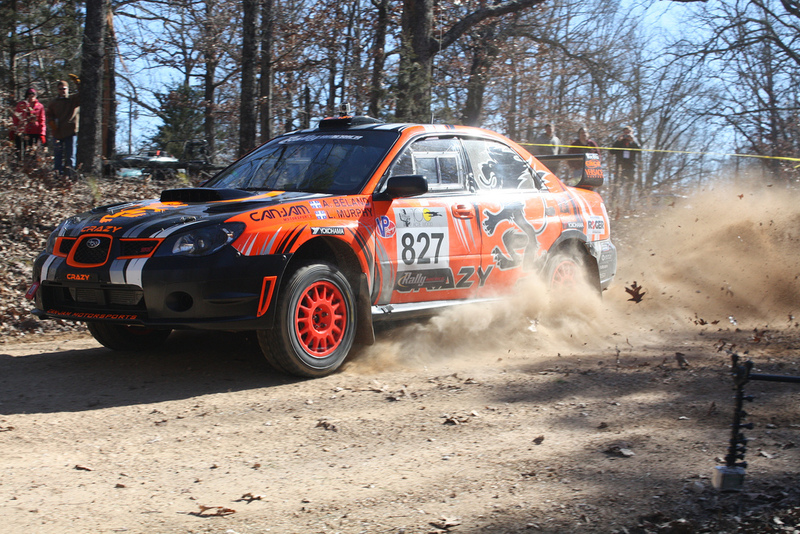 Last weekend I drove four hours southeast of Kansas City for the 20th running of the Rally in the 100 Acre Wood. After jumping through several administrative (but not uncalled for) hoops, I secured a press pass, borrowed a camera from a friend, and sped out of town. I know we’re only two months in, but it was thus far the highlight of 2014. Racing excites me to no end, but there’s something special about rally – racing to somewhere rather than around a circuit. Perhaps it hit me so hard this year because there was a real sense of progress in those gleaming beasts as they slid around the gravel corners and howled out into the forest. Where I was stuck in circles, they were headed somewhere – and fast. I met a driver named Nick Roberts who tours the country with his family, winning races. Nick took first in his class and fourth overall, which means the only people to beat him were the podium finishers in the fastest class. Nick’s a nice guy, but that’s not uncommon. I’ve never met a rally driver who wasn’t a nice guy, except the nice girls. What really caught my eye about Nick’s car wasn’t the fantastic flannel livery. It was the Bible reference on his bumper. “Yeah, I’ve always had a Bible verse on my car,” he said when I saw him at the Saturday night service area. “Alot of people ask about it. It’s a great way to start conversations.” It wasn’t just a greeting card verse, either, but Mark 16:15 – “He said to them, ‘Go into all the world and preach the gospel to all creation. 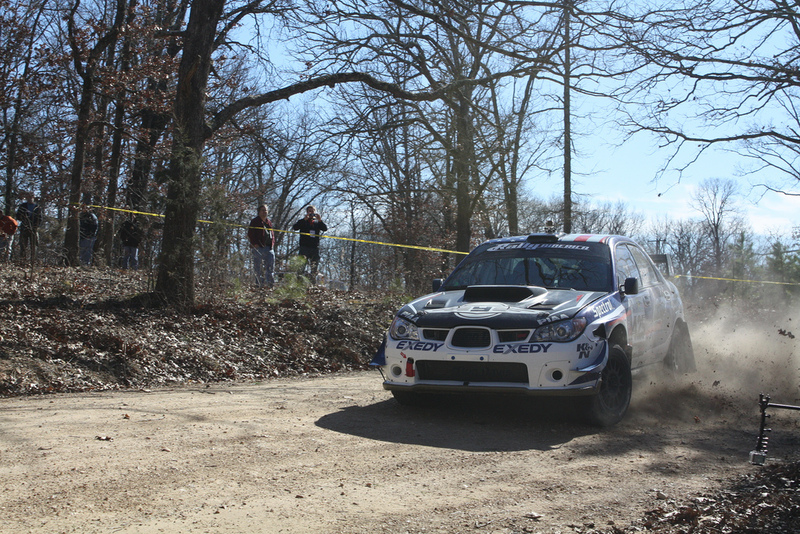 '” Yes, the winner of the Rally America 100 Acre Wood Rally, Super Production class wears the Great Commission above his fog light. It’s always encouraging to see an outspoken Christian dominating his field. I want to do that with my writing. My full account of the rally, as well as a primer for the uninitiated, can be found on the Streetside Blog, so I won’t rub myself raw on the details, but I can again confirm that I need to be a rally driver someday. There’s an invisible trail of tire tracks leading me there, an invitation that can only be heard in the highest and lowest frequencies of my gut. It must happen. But there’s no such thing as a poor rally driver, so I need to write some books. Maybe I’m finally on my way again.